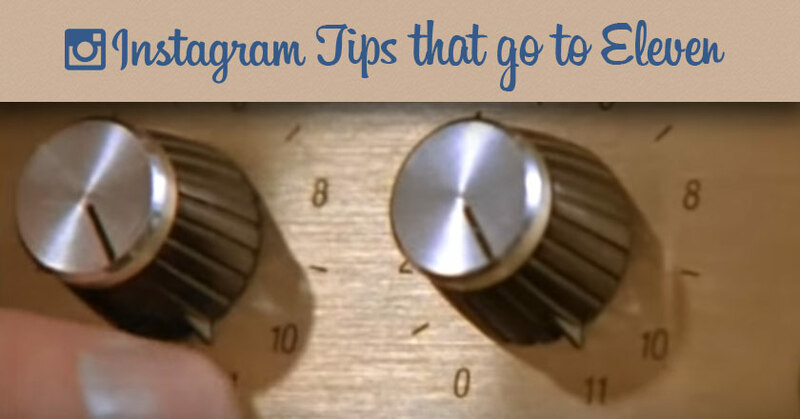 Anyone can create ten tips to build Instagram followers, but we put together ELEVEN. Why? Because its one better than ten! Anyone remember this hilarious scene from movie This is Spinal Tap? Instagram is full of untapped potential for businesses. Going into 2016, Instagram eclipsed 400 million active users. Businesses that can build Instagram followers will be able to leverage this platform now and long into the future. While there are other social media platforms that have more users, the reality is that instagram users are much more engaged. I know several businesses that have tens of thousands of twitter followers but get better engagement and better leads from instagram with just a fraction of the followers. Clearly an Instagram presence is only going to become more important for businesses. Here some great tips help you build Instagram followers. You don’t have to produce great images on every post. Certainly photos of work or snapshots of products are important for your brand. However, if you want to get people interested in following you then it pays off to create something that a lot of people will double tap (like). A popular image can be featured on a hashtag search and lead to even more likes and more followers. While I’m not a huge fan of memes, they work well on instragram when they are made with a touch of creativity. In other words, using the same boring meme creation apps won’t cut it. Use a catchy but brief saying or poem will often get more likes and help engagement. Brevity is important. I tried to use 3 to 10 words because “wordy” images are often too small to read on smartphones. Asking a question can work wonders. I’ve seen a few brands post their product (like a candy bar or ice cream) and simply put “Who Hates Mondays?” on the image. You’d be surprised how many people will relate, comment, talk about their crappy monday. There is simply no better way to gain Instagram followers. It’s the tried and true method of building followers. Although creative image posts are great, we don’t always hit it out of the park so grinding followers through engagement is your next best bet. You need to follow a lot of people and like a lot of images. Also, while it’s time consuming, it pays to comment. Other people see you comment it helps build trust. The more active the you are, the more exposure you will have. Like anything else, you have to give in order to get back. Try to take some time everyday. Sometimes when I get home, I get comfortable, watch some TV, search a related hashtag and just scroll through instagram and go to work. If someone discovers a great new product or service, they will want to share it. Create a hashtag for your brand that will get people excited about posting. For example, a Los Angeles yoga studio named One Down Dog started using #ODDing for posts that featured people holding the down dog pose is odd places. Creative hashtag ideas like this help newer business gain traction. Kenneth Cole created a hashtag #dressforyourselfie where people would show off their new apparel. Even if you have a small account, you can start doing this when mixing in other hashtags and people will slowly start doing using the hashtag. Play on people’s emotions. Funny, cute and interesting always work well. The goal is to build up brand awareness and people love contests. 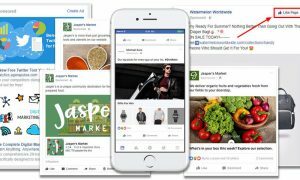 If you sell a product, you can offer a huge discount to someone that gets the most likes using your product. If you sell a service, then provide an additional service for a reduced cost. Absolut created a limited edition bottle of vodka called Absolut London. They gave away one of the bottles to the best photo that would represent both Absolut and the city of London. This was huge exposure for a nice, but rather inexpensive bottle of vodka. In other words, you don’t have to give away something expensive. 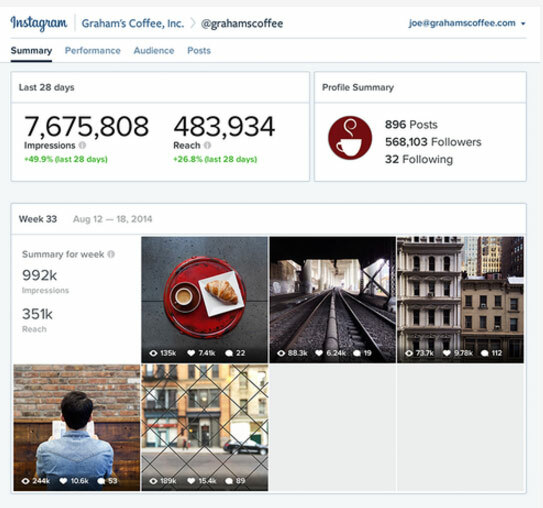 Jeff Bullas put together some great steps for planning and creating an Instagram contest. Reach out to a business you love and make a plan to tag each other in posts. For example, an environmentally friendly clothing company might support an organic juice bar, and vice versa. If you like the brand, chances are that their customers will also like your product. If you have an advertising budget you can run a page post engagement ad to build followers. 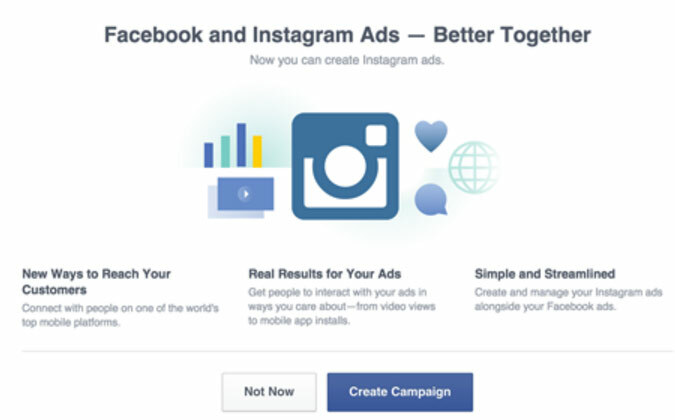 After Facebook bought Instagram, they integrated the platform into their advertising program. 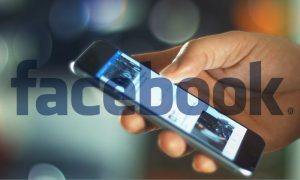 I usually Instagram ads hand in hand with Facebook advertising as you can select instragram ads as a platform. The main benefit is that Facebook has such amazing targeting options, you can really hone in on your target. Just remember that this strategy involves a lot of attention to detail, trial and error to become cost effective. Instagram is as much about the beauty of the grid as it is about the individual photograph. Unlike Facebook, your Instagram feed does not show pictures that you are tagged in but did not post. This gives you complete control over the look of your entire feed. Many people look for cohesion when deciding whether or not to click “follow” on someone new. All this to say: find your style. Stick to a few filters you like, a theme, or a color scheme. Create rules for your photos and stick to them. This piece of advice is more about making sure you don’t lose Instagram followers and making sure your grid looks good. Multiple pictures of the same event are for Facebook and Twitter. On Instagram, it’s about that one photo that represents the whole. Nobody wants to see two posts in a row from the same person, let alone five or six. Over saturating an Instagram feed is the quickest way to lose followers. They are a great way to get ad insights and information on engagement, reach and impressions. Instagram is still relatively new and its venture into advertising even newer, so it might be a good idea to subscribe to the Instagram for Business Blog and stay up-to-date on the newest tools. Everyone runs dry and needs inspiration. Look at what others are doing and see what you like. By “others” I mean competitors, fans, big-name brands, everything. If you like it, try it out for yourself. Chances are your followers will like it too. You don’t have to be a food or clothing company to do well on Instagram. Seemingly against all odds, General Electric has a beautiful Instagram feed. One of their photographs shows turbines at sunset, and it is unexpectedly breathtaking. Much like Gary Vaynerchuk, I’m a huge fan of Instagram for businesses. 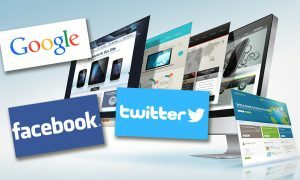 I see it becoming one of the top 2 marketing platforms because people pay attention to it. It’s not as easy to advertise or market, but when you do it right, the results are crazy good. I will admit that I was late to the Twitter movement and paid for it. If you are early adopter, it’s so much easier and cheaper to build a following. It’s still early in Instagram so I highly advise businesses start figuring it out now. If you are an individual marketing professional, then check out DigitalMarketers new Labs Elite program. Marketers gain virtual access to workshops and on-demand training. You also gain private membership to the Digital Marketer community where you’ll where you will mastermind with other members. (The ability to bounce ideas off of fellow marketers is priceless). If your business wants to build Instagram followers but needs some help, then get in touch with us We can help! After all when most social media marketers are giving you 10/10 effort.. we have that extra push to take it to 11.